Windsor Castle is the oldest and largest occupied castle in the world and is a beautiful place to spend the day. Some of the attractions include Queen Marys Dolls House, St Georges Chapel and the State Apartments. The gorgeous grounds are also open to visitors and are perfect to go for a stroll in. Windsor Castle is a lovely place for the family to spend the day, and remember to vist Eton as well – just over the bridge from the castle. Chatsworth House is a beautiful Stately home in Yorkshire. There is so much for all the family to do there, you can visit the farm yard and adventure playground, take a wander around the stunning gardens and take a tour of the house. Chatsworth is the perfect place to spend a family day out. Edinburgh Castle is set upon a hill overlooking Edinburgh with great views of the surroundings. Learn the story of Edinburgh Castle and Scotland itself as you are given a tour through the majestic castle. 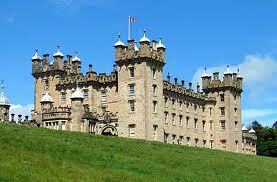 Some of the highlights of the Castle include The Honours of Scotland and the Royal Scots Regimental Museum. It is an educational and impressive place to enjoy a family trip. At Warwick Castle there are many things to do that the whole family will enjoy. You can visit the Princess Tower, take a walk through the Peacock Garden or for those brave ones you could even venture into the Castle Dungeons. Warwick Castle is an exciting place for the whole family to visit. The Leeds Castle offers so much for the family to do ranging from visiting the Dog Collar Museum to taking a tour of the gardens on Segways. It is a very family friendly place with so much to entertain everyone. It is the perfect place to enjoy a day out with all the family. Fountains Abbey and Studley Royal has over 800 acres of safe and stunning countryside where you can have a picnic, go for a walk or just sit and read a book. As you wander around the grounds you will find many beautiful buildings and features including the Serpentine Tunnel, the Octagon Tower and the Water Garden. Fountains Abbey is a delightful place to spend a relaxing day out with the family. Alnwick Castle is a lived in Castle in Northumberland and has been the set of Harry Potter, Blackadder and many more. 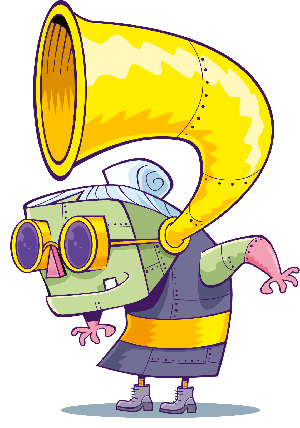 The castle offers a wide range of things for the family including visiting the Alnwick gardens, taking a tour of the castle or taking part in the dragon’s quest. Alnwick is a very beautiful place and perfect for a family day out. 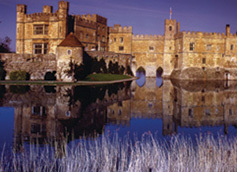 Hever Castle is every child’s imaginary castle complete with a moat. There are many things to do including taking a walk around the lake or looking at some of the exhibitions that may be on show. 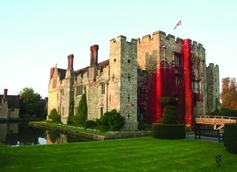 Hever Castle is a very interesting and historic castle and is a great place to visit for everyone. Glamis Castle is a beautiful castle surrounded by myths and legends. The expansive grounds are perfect to take a peaceful walk with the family or you could take a tour around the castle and admire the elaborate furnishings and decorations. There are many things to see and do there and it is a great place to go to with the family. Floors Castle is a stunning castle situated in the Scottish Borders and is the largest inhabited castle in Scotland. The Woodland and Riverside Walk take you around the stunning gardens or you could take a tour around the house or let off some steam in the adventure playground. The castle is a really lovely and family orientated place sure to be loved by all those who visit it.